Who gets excited about ketchup? Or catsup? Isn’t it a kid’s thing after all? Not in this case. 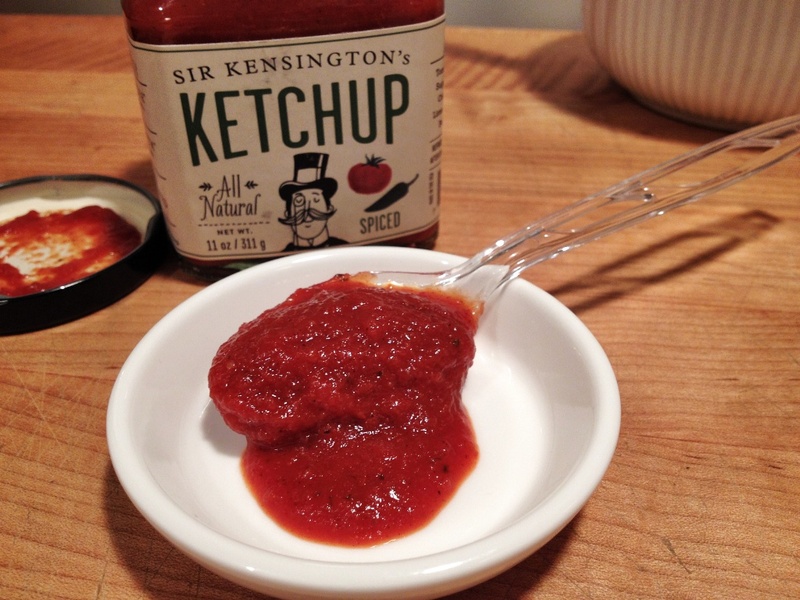 Sir Kensington’s Ketchup – Spiced is for grownups. It features chipotle peppers, cilantro, lime juice, and hint of coriander. Spicy enough to amuse the taste buds, it “packs a pleasing punch without sinking the ship”. 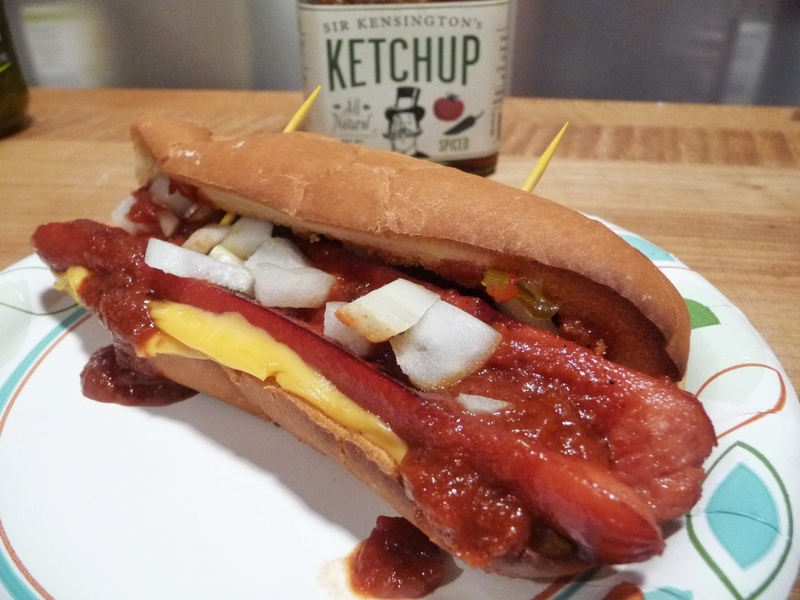 While all the world is a-twitter about sriracha this and bacon that (both now in ketchups, by the way), Sir Kensington’s has been quietly proudly making their ketchups and other condiments since 2008. You just may not have heard of them until now. Sir Kensington’s is headquartered in a Prohibition-era building overlooking the Hudson River in New York City’s Meatpacking District. 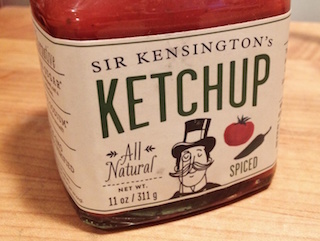 Sir Kensington’s Ketchup comes in beautiful square 11 oz jars, adorned with awesome graphics (a monocled Brit) and witty text. Even the Story of Sir Kensington’s is a comedic read in and of itself! 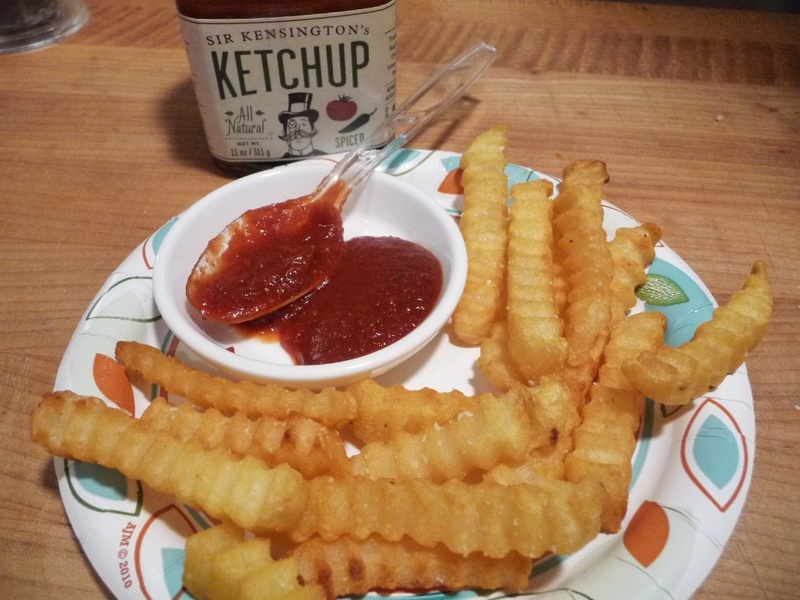 With 50% less sugar and 33% less sodium than regular ketchup, Sir Kensington’s Ketchup is packed with great flavor. Ingredients: tomatoes, tomato paste, organic sugar, organic distilled vinegar, onions, spices, jalapeños, salt, lime juice concentrate, green bell peppers, cilantro, citric acid. Texture: The texture is remarkable. Thick and rich. Bold. Aroma: Pungent and sweet. The organic sugar really makes a difference in both the smell and taste. And the vinegar is muted, not sharp, but mellow. Fragrant. Taste: Sweet and slightly vinegary. Full bodied tomato flavor. Delicious. Heat: Mildly spicy – just a tingle. Even the kids on their JoovyZoom360UltralightJogging stroller will like this ketchup. (Tell ’em it’s for grownups only!) A great way to introduce the little folks to some chipotle pepper heat. Spicy. This is one of the few times I would put ketchup on hot dogs. Bonus Recipe. Write this down! 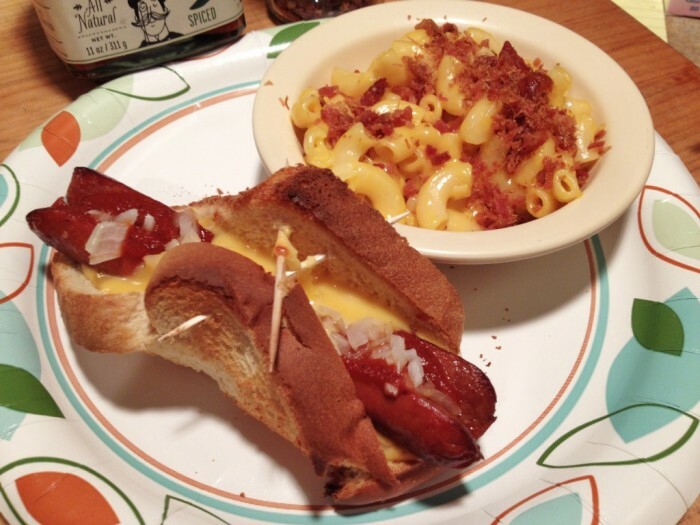 Here’s a cute toasted hot dog recipe I grew up with as a kid. Place american cheese on bread. Place hot dog on top, diagonally. Spoon on Sir Kensington’s Ketchup and other condiments. Fold bread corners over and secure with toothpicks. Toast / broil until golden brown. Enjoy. 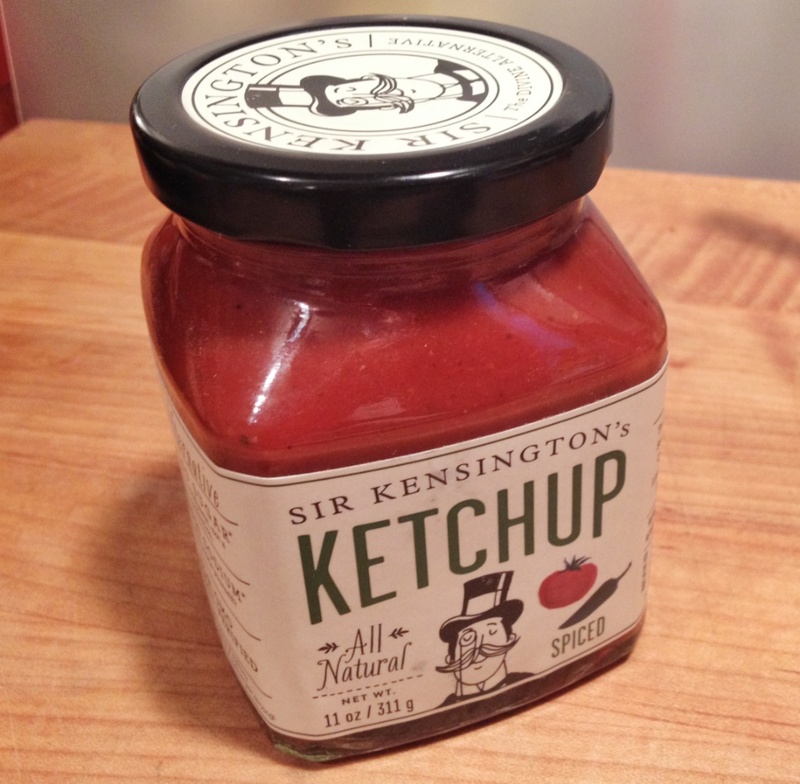 Sir Kensington’s Ketchup – Spiced is one of 7 variants of condiments that they make, and you just must try! Ketchup, Mayonnaise and Mustards are all offered with varying degrees of spice and flavors. Where to purchase: Sir Kensington’s is available all over the New York City / New Jersey / Long Island areas at these fine grocers: Sur la Table, Whole Foods, and Fairway. And of course online at SirKensingtons.com. 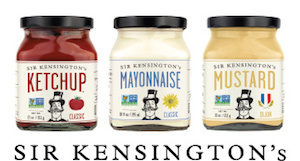 Even though we received a few bottles of Sir Kensington’s for review, as I finish writing this… I’ve already gone to their site to order even more – including their mustards. It’s that good!